Show your other half that romance still blooms in your relationship with a stunning bouquet of gorgeous flowers. They make a great gift and are a lovely romantic gesture. 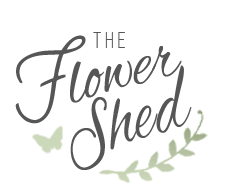 At the Flower Shed we by no means think of flowers as an ‘easy option’. With our stunning selection and carefully selected flower arrangements you can give a simple gift that still has that WOW factor. A lot of thought goes into each of our flower arrangements and bouquets to ensure each one is truly special. Romantic tip – get her a bouquet that matches her favourite colour, or try and secretly find out her favourite flower. If we don’t have it in stock we can order it in with a couple of days notice.